Welcome to Part 13 of the thread for the Current Events of Princess Stephanie of Monaco and her family. A sweet photo and a sweet message from Pauline for the birthday today of her mother!! "I know that I said it too much but I tell you anyway I love you mom ❤️❤️❤️ you are the most extraordinary woman beautiful and courageous ⭐️⭐️ BON ANNIVERSAIRE MAMAN 🎂🎉"
Thanks, eya. I've always had a soft spot for P Stephanie and I am very happy that she shares such a beautiful bond with her children. 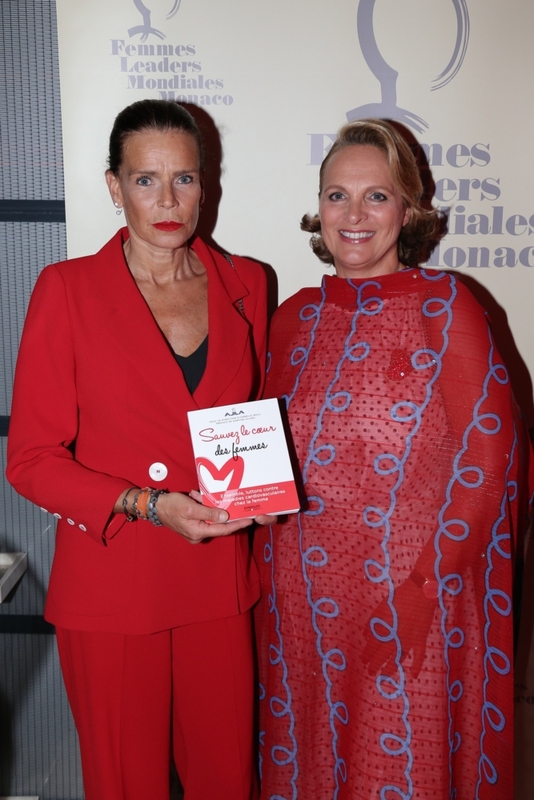 Princess Stephanie came last night at the Monaco Yacht Club to support the association "Women leaders of Monaco" who fight against cardiovascular diseases. In solidarity with the association, the Palace had lit up red last night. Here's a nice video of the World Circus Day in Monaco, including an interview with Stephanie - the kids are great! Wonderful that they all attended the event together! Yesterday, July 13, Princess Stephanie represented Prince Albert at a reception given by the Ambassador of France to Monaco, on the occasion of the French National Day (July 14). On the occasion of the celebration the French Navy's support and assistance vessel Loire, returning from a mission in the Middle East, made a stopover in Monaco. Princess Stephanie with Carabinier Orchestra in Moscow for the Spasskaya Tower Festival. They played on Red Square in Moscow with the other military bands invited for the Festival. It's great that Stephanie accompanied the orchestra. She's Patron of the Compagnie des Carabiniers since last year.